We are at a proverbial crossroads when it comes to climate change and avoiding its worst impacts. Total annual global greenhouse gas emissions need to drop to a net of 41 gigatons of carbon dioxide equivalent (GtCO2e) in order to have a chance of limiting warming to 1.5 degrees Celsius. Total annual global emissions of greenhouse gases (GHG) in 2012 were 52 GtCO2e. Although the situation may seem dire, there is something that can help sequester vast amounts of carbon dioxide emissions, and it is called regenerative organic agriculture for soil-carbon sequestration. 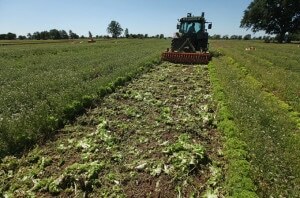 More than 100 percent of current annual carbon emissions could be sequestered by switching to regenerative organic agriculture, according to a new report from the organic farming nonprofit Rodale Institute. Regenerative organic agriculture is a term coined by Robert Rodale, son of American organic pioneer and Rodale Institute founder J.I. Rodale. It is an organic farming system that does not use synthetic pesticides, which can do damage to the soil, or nitrogen fertilizer, which causes nitrous oxide, a GHG 300 times more potent than carbon dioxide. Nitrous oxide accounts for about 40 percent of all GHG emissions globally. Regenerative organic agriculture uses conservation tillage, cover crops, residue mulching, composting and crop rotation and can “easily” keep annual emissions within the desirable range of 41 to 47 GtCO2e by 2020, according to the report. The most common agricultural practices today are doing the opposite of sequestering emissions: GHG emissions from the agriculture sector accounted for 9 percent of total GHG emissions, according to Environmental Protection Agency (EPA) estimates. GHG emissions from agriculture have increased by 19 percent since 1990. The practices used in regenerative organic agriculture not only pose the best chance for sequestering vast amounts of carbon, but they are also good for the soil. They “minimize biota disturbance and erosion losses while incorporating carbon rich amendments and retaining the biomass of roots and shoots,” the reports authors wrote. All of those things contribute to carbon sequestration. 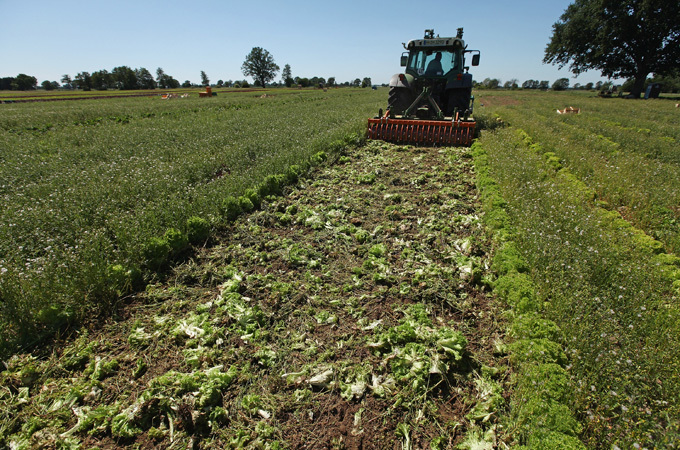 Read the full story via Regenerative Organic Farming Can Sequester Vast Amounts of Carbon. ⇐ Is organic farming sustainable?